Discover 13 ways and resources to learn yoga on your own and do it at home or the park or the beach. There are no shortage of ways to learn yoga on your own - but that doesn't mean you can't go to classes either. When I discovered yoga I was too broke to take a class. Classes were cheaper then too. I was motivated to learn so I spent $30 on a book and worked through that book for over 1 year. Since then, I’ve bought yoga cards, DVDs, watched YouTube videos, followed along yoga streaming videos and combed through many yoga magazines. I’ve also improved my finances enough to attend yoga classes since then as well. Whether you don’t have yoga in your town or don’t have the money, those are no excuses for not being able to learn yoga. There are many resources you can use to learn and do yoga at home. Below I set out 13 options. If you are one those who wish to self-teach yoga without spending money on expensive yoga classes and studios, there are a number of other ways that you can do that. While a few of these options will also cost you some amount of money, it will still be less and are fairly reasonable even when you are on a budget. Below are some of the most popular and common ways through which you can learn and practice yoga on your own. 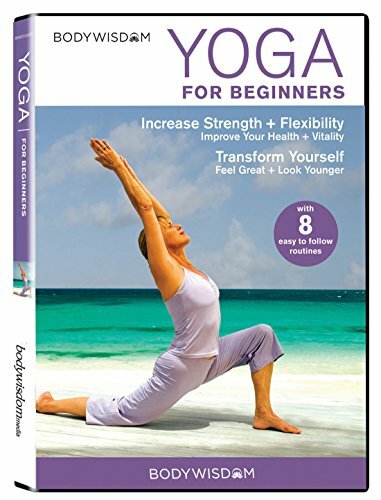 One of the most popular ways to learn yoga on your own is with the help of specialized yoga DVDs. These DVDs are an excellent way to kick start your personal yoga session because they not only list out the best exercises and yoga postures for you to try but also help you regulate your breathing. Different yoga DVDs also consist of unique and varying exercises and form that you can follow as per your liking and can include them in your daily exercise routine. One of the most popular DVDs for yoga is ‘Jillian Michaels Yoga Inferno’ which is particularly great for all beginners out there. Jillian Michaels is a super famous, all-rounder instructor who teaches everything from yoga to cardio. Yoga Inferno DVDs consist of 30-minute exercise routines with a very balanced and well-focused approach to Yoga. Her yoga exercises will not only help you burn calories and fats, but also transform your shape and build great stamina and strength. Another great way to learn yoga is through books on Yoga that are all about yoga exercises, meditation and ways to regulate breathing. As the popular saying goes, “read your way to a better practice”. There are various special books on yoga that contain a list of different chapters that are super detailed and allow one to explore the benefits of yoga, different yoga exercises, breathing, and meditation techniques, etc. In most books, various yoga styles and postures are listed along with detailed descriptions on how to perfect a particular style or posture. 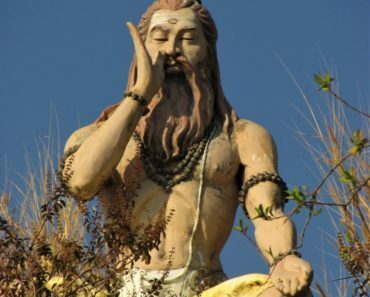 Many of them also talk about the fascinating history of how yoga came into practice and the ways in which the art of yoga has evolved over the years. There is a large variety of books available on yoga; however, one of the most popular books has to be ‘Light on Yoga by B. K. S. Iyengar’. This excellent book is said to be an absolute must-have for any yoga practitioner. Although the book came out somewhere around in 1966, it is still considered as the gold standard due to its amazing illustration of numerous breathing exercises and all kinds of yoga poses. Yoga cards are the “next best thing” when it comes to learning yoga on our own with the help of a convenient and detailed deck of cards. These cards act as a personal yoga instructor and allow you to indulge in the gratifying practice of yoga anytime and anywhere you want. 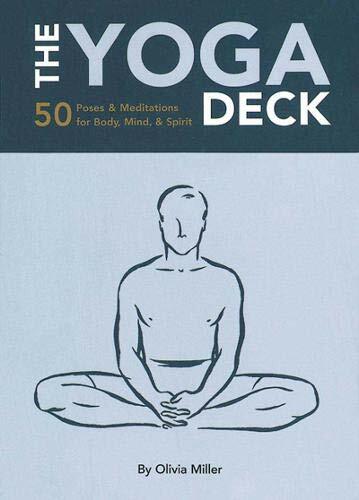 A deck of yoga cards is usually a series of beautifully designed plastic cards, each of which is professionally illustrated in order to provide you with the correct movement, form, and posture. These cards are more like a visual study that you can use at home, in a park, or out in your garden, wherever you want. The best thing about yoga cards is that they are very detailed, thorough and consist of well-thought-out yoga practicing guides that are truly essential for one to be able to learn yoga on their own. Majority of these cards start out by grouping the most important yoga poses by category, followed by breathing exercises, meditation techniques, and sometimes even a template yoga card that allows you to build your own sequence. On the back of these cards, you will often find written instructions explaining the benefits of the particular pose, often coupled with medical warnings. Another great thing about plastic yoga cards is that they are waterproof and are made from a highly durable material which means a single deck of cards will last you for years. They also offer increased convenience and versatility as compared to books. These are just like cards, except of the fact that posters are full-sized printed papers that are typically stuck to a wall or any other similar surface. Yoga posters also work the same way since they consist of both graphics and textual yoga-related information and you can attach them anywhere you want for instance, on your bedroom wall, the cupboard, the walls in your basement, the garden, etc. There is a great variety when it comes to yoga posters. There are posters that only consist of illustrations with various yoga poses drawn one after the other. Other posters might have one pose each with detailed instructions written below. Then there are also the kinds of posters with yoga poses grouped into categories and the exercise details written on the side. With such a great variety at your disposal, it is all up to you what kind of poster best helps you learn yoga on your own. This online platform is one of the most convenient, easy-to-access and hassle-free for literally everything. From cooking videos to exercise to DIYs, YouTube is your one-stop station for everything. It is best for those who wish to learn yoga on their own without having to pay for expensive yoga classes. There are countless yoga channels on YouTube, each of which has a unique and distinct approach to yoga. However, not all are created equal and not every yoga channels is for everyone. You have to identify your needs and then pick the right channel for yourself accordingly. There are also famous yoga instructors on YouTube with their yoga channels that offer a full-fledged and a complete guide to yoga. Their channels are full of numerous videos that are usually uploaded in a particular sequence. They typically begin by explaining the various yoga postures, styles, and forms in detail, their numerous benefits and then how to exactly do those postures and exercises. 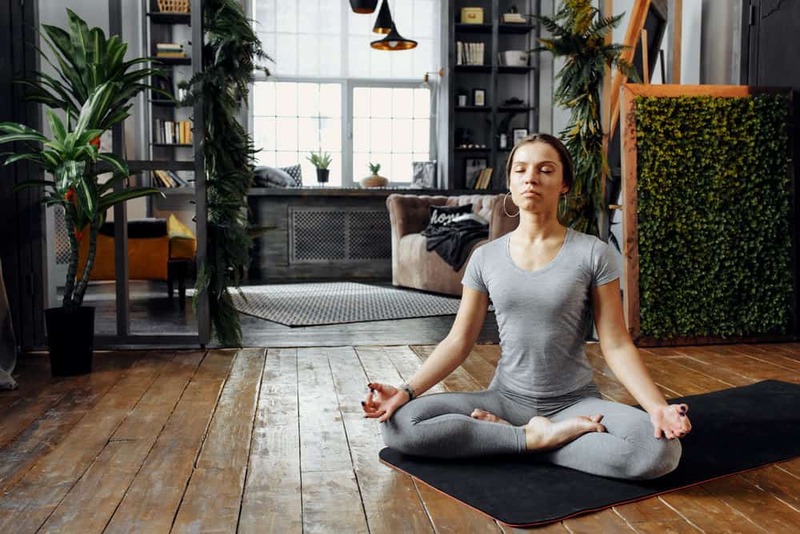 While you may come across hundreds of different yoga channels and videos on YouTube, one of the most popular channels goes by the name “Strala at Home”. This is an excellent yoga channel that is led by a yoga instructor named ‘Tara Stiles’. She basically created this channel to make yoga a fun experience for all those people who want to practice yoga and experience all its mental, physical and emotional benefits. This is a great option even for beginner yoga enthusiasts since the examples in her videos are easy to understand and follow. The best thing about Strala is that you don’t necessarily have to pay to download the complete yoga workout sets. You can first preview and have a look at the different yoga videos, decide the ones that you think are best for you and then only pay for the ones you have chosen. If not YouTube, there are several other online websites and streaming services that provide users with the opportunity to learn and practice yoga on your own. These services considerably expand your options where you can change things up a bit whenever you feel like it. One such excellent streaming website is YogaGlo, which has a massive variety of programs and class series that help you learn yoga basics and slowly move towards building strength and the ability to perform difficult yoga styles and postures. Another great website example is YogaVibes, which consist of online yoga videos that are filmed in real yoga studios. It has a variety of different classes that are led by famous instructors and teachers. It also allows you to choose according to your preferred style, difficulty level, length, etc. Apart from streaming services, you can also join numerous online yoga portals that have specially designed classes to fit your needs and requirements. 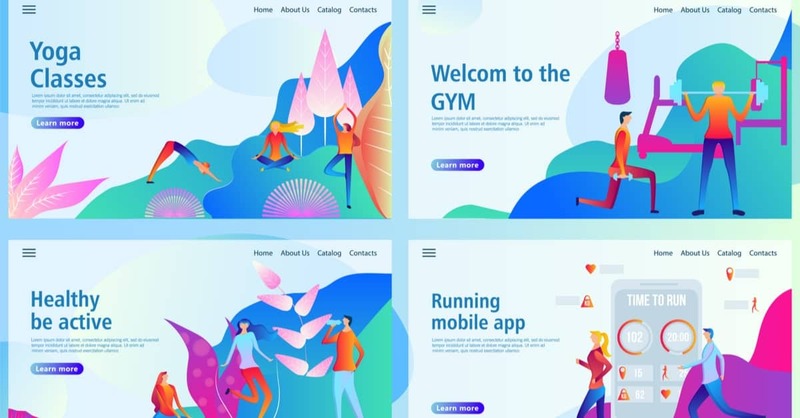 These are different from websites in a way that most of these portals require you to subscribe to them, pay a specific monthly amount and enroll yourself in a number of yoga and meditation classes. One such portal is called Gaia that has featured practice sessions every week. These include categories like vinyasa, morning ritual collection, meditation, and yoga off the mat. It also has numerous other classes like ‘calm heart breathe meditation and ‘morning meditation for gratitude’. These sessions are an all-rounder and not just help you master the different yoga styles and forms, but also allow you to experience a multitude of mental benefits. If you are not a movie person, you can always resort to other options when it comes to learning yoga on your own. One of these options is yoga documentaries. Whether you are a newbie or a self-established yogi, these documentaries really offer a deep insight into the world of yoga and meditation, while allowing you to perfect your yoga form and style. One of the greatest documentaries of all time is called “Yoga Unveiled”. This documentary offers you a look deep into the various dimensions of yoga as well as the history and philosophy that basically led this art into existence. Another great documentary is called “Yoga Is” which is based on a personal story of a woman in which she takes up yoga after losing her mother to cancer. In the documentary, the woman also meets several yogis and gurus, and the point of these meetings is to educate the viewers and shine a light on the importance of practicing yoga for personal well-being. 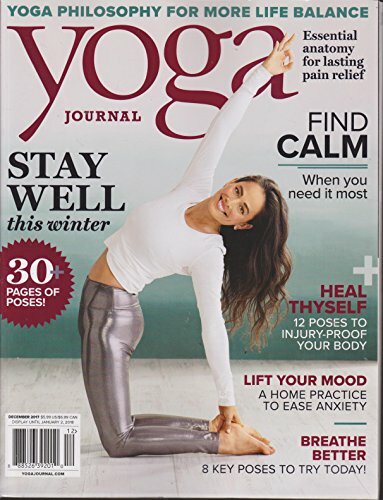 Not only will you find books on yoga, but there are also magazines that are completely devoted to yoga and meditation. Most of these magazines are all about yoga styles and forms, yoga-related tips and advice, healthy recipes and so much more. Imagine a whole magazine that only talks about yoga and meditation – sounds interesting, doesn’t it? The primary goal behind these lifestyle magazines is to inculcate inspiration and motivation among individuals so that they have the desire to read and follow information on the entire yoga culture and its holistic benefits. These magazines achieve this by offering lessons from numerous yoga masters, as well as spiritual scientists and healers. There is nothing that modern-day technology has failed to offer- from games to personal journals to cookbooks; there are mobile applications for literally everything. Similarly, you will also find Yoga applications on your mobile phone’s app store. 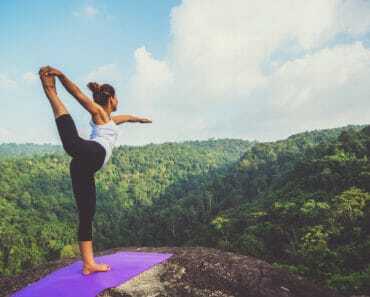 Whether you are new to yoga or a self-proclaimed yogi, yoga applications are the best way to get that daily exercise dose without ever having to leave your house or spending a ton of money on yoga classes. They are also hassle-free, easy to use and can help you practice yoga literally anywhere inside or outside your home. One such yoga application is called “Daily Yoga” that has over 500 asanas, more than 50 workout plans and over 200 guided yoga classes coupled with meditation and breathing techniques as well as pilates. This app is also referred to as the “yoga bible” because it is so comprehensive and elaborate. 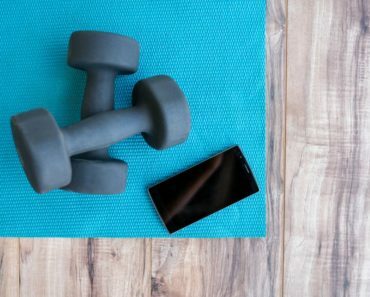 Every workout in this application comes with scheduled plans, step-by-step instructions and also varying intensity options that you can pick from according to your level. Daily Yoga is also one of your one-stop stations if you are looking for an all-rounder yoga application that has a bit of everything. Who doesn’t love watching movies, right? Just like there are adventure, horror and crime movies, there are also informatory movies that teach you the beautiful art of Yoga. Often times, there are movies that affect us in the most amazing manner and leave us with a lot of things to learn. Such are also movies that are based on, or somehow relate to yoga. They allow you to identify some of the core principles of yoga and also develop a proper yoga form and posture. A great example of a movie that is based on yoga and its disciplines is called “Walk with Me”. This movie came out in the year 2017 and is referred to as a “full meditation” in film form. The movie talks about a Zen Buddhist and his village who practices the art of mindfulness. It is a beautiful cinematic journey that takes you deep into the world of a monastic community. There is very little dialogue in the movie and is featured on how the Buddhist monks indulged into a mindful yogic lifestyle. This option is for all those who feel really self-conscious about going to a yoga class and practicing it with people around. You can hire a private instructor especially if you are a beginner in order to learn the correct style and posture and the other basics of yoga. A slower paced private class might just be what you need to do and learn yoga until you are ready to do it on your own with the help of books, movies, DVDs, etc. This will further help you gain better body awareness and also build up core strength to be able to self-teach. There are a lot of yoga websites out there that offer routine ideas, yoga poses, yoga postures for specific purposes and so much more. Are you ready to embark on a spiritual journey of yoga to experience all the magical benefits that are typically associated with it?